Touchscreen devices are often limited by the complexity of their user interface design. In the past, iterative design processes using representative user groups to test prototypes were the standard method for increasing the inclusivity of a given design, but cognitive modeling has potential to be an alternative to rigorous user testing. 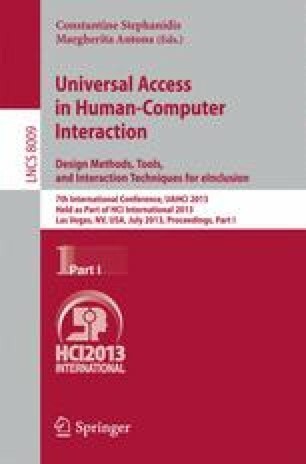 However, these modeling approaches currently have many limitations, some of which are based on the assumptions made in translating a User Interface (UI) into a definition file that cognitive modeling frameworks can process. This paper discusses these issues and postulates potential approaches to improvements to the translation procedure.